January 22, 2018.....Resourcefulness is the strongest currency. Resourcefulness is the strongest currency. 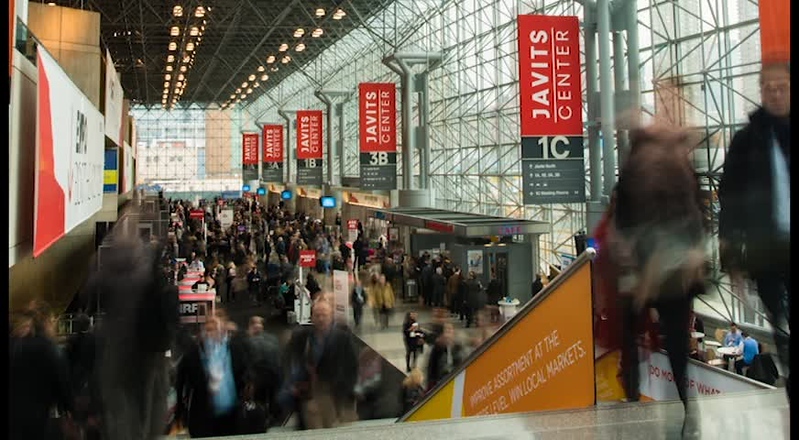 For me, the Javits Center is much less a convention center and more so a symbol of growth. My first time there was for Photo Plus Expo 2014: I had just left my job as a nanny to work for @johnhharrington and had super high hopes of “making it” in photography. Last week, I was at Javits photographing my biggest event to date. Lots of change in between. Seeing how many thousands of people were either already successful in photography or really wanting to become photographers could represent one of two things: a seat on the bench OR a fire igniting inside of me. I was intimidated, but as usual, feeling more stubborn than scared. My wheels were turning each time someone asked me Who I was, What do I do? All I could think = I hope I can answer this question in a better way someday. I was proud of myself for getting the job working for John, but I also had tons of student debt that didn’t seem to show for nothing. A’s as an art student are comparable to likes on Instagram = NOT paying the bills. John was continuing an ongoing tradition of interviewing companies on the Expo floor about their newest photography equipment, and my job was to carry his video rig around, which weighed about half of what I weighed––and then also conserve some energy for when it came time to actually roll the video. (Don’t forget to press “record” on the Video AND Audio.) My back still hasn’t forgiven me, but folks were very quick to respect a woman carrying around such a big contraption. “Do you need help with that?” It certainly got the attention of others and gave me an easy in for conversations. A reminder that even though you may not have a list of accolades, to always use what you’ve got! - You don't have the time? Time is an inanimate object. I think what you mean to say is you have your priorities out of line. When saying "I don't have time." Replace "time" with "energy." Do you not have energy for this? - You don't have money? You have ideas and creativity is the blood that swims through your veins. - You don't have the best equipment? You have a unique eye and you see the world different from all other people. - You don't have clients? You have an ocean of people who need your services. You have the internet. Connect with them. You also have legs. Go to them. - You don't know where to start? Well this just sounds like you are being a lazy mofo. Sure I’ve had my fair share of moments wondering if I’d have to move back in with Mom & Dad (not that I don’t love them dearly), but I’m glad I can look back at 2014 Jess who could barely stand up on the expo floor and thank her for being crazy enough to stay the path.